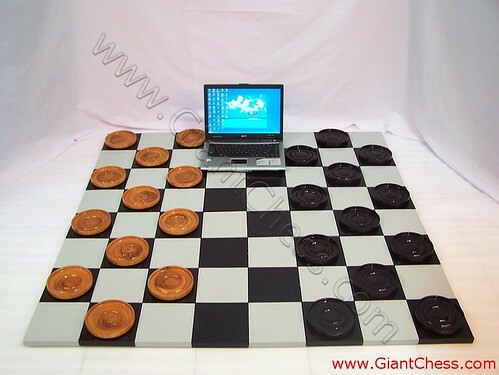 These checker pieces are designed in big size and usually use for outdoor checker game. Why big checker? The answer is because the big checker set is very suitable for outdoor game. This set has carved bigger than standard and ordinary checker. It aimed to make it perfect for outdoor game which has wide space enough to put big checker set with its big board also. Those checker pieces and board are durable for outdoor game in any seasons. Those are made of Teak wood and carved well by expert craftsman. Do not worry about damaged, because it made from the strongest wood in the world. So you can left it outdoor for months.